In case there was any lingering doubt in your mind, yes, Spider-Man is an Avenger. If you need actual proof of this, look no further than the first posters for Spider-Man: Homecoming. 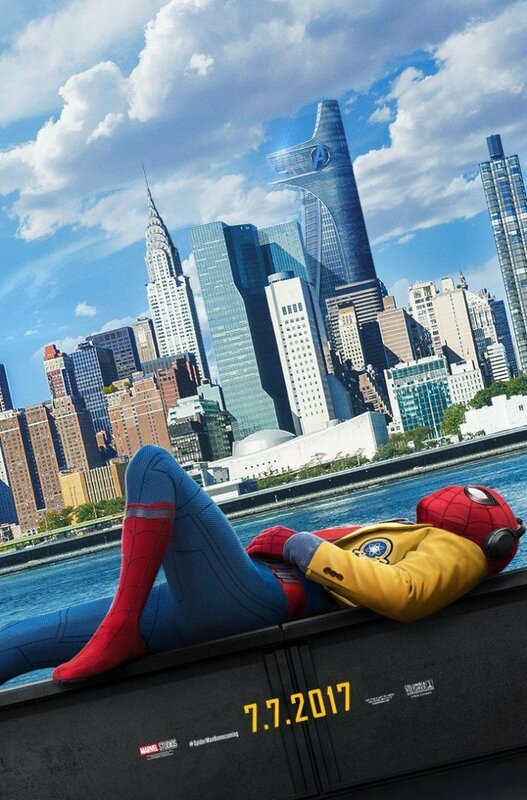 It shows our boy wonder, Peter Parker, lounging around in his Spider-Man getup, shooting the breeze, in front of Tony Stark’s tower. You know, that tower with a giant A on it — A for AVENGERS. The first movie in the third reboot of the character (never forget, Tobey MaGuire and Andrew Garfield) has Tom Holland stepping into the webslinger’s shoes. 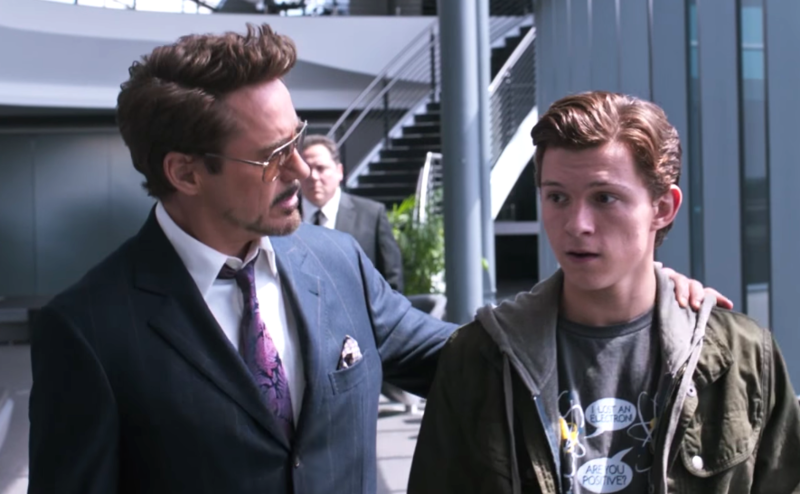 We’ve already gotten a small taste for his Spidey in Captain America: Civil War, when Tony recruited him for #TeamIronMan. At the end of the movie, Tony then provided Peter with all sorts of cool new gadgets for his daily crime fighting, and the trailers for Homecoming strongly suggest that Peter is still trying to prove himself to the veteran Avenger. These posters once again suggest that’s going to be a big theme of the movie — just because Peter’s a kid (and, uh, technically a Sony franchise, not a Disney one), the Avenger connection is certainly there. 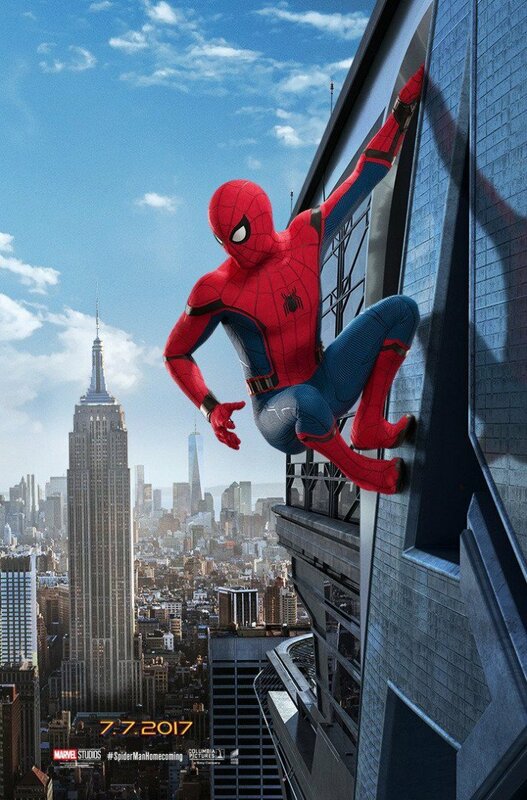 The second poster actually has Peter *on* the Avenger tower. Good thing he’s not afraid of heights. Will Peter actually be able to live out his wildest Avengers fantasies? Will the other Avengers let him sit at the big kids table?? Could Peter be anymore of a total, and adorable, dork? We’ll find out when Spider-Man: Homecoming swings into theaters on July 7th.